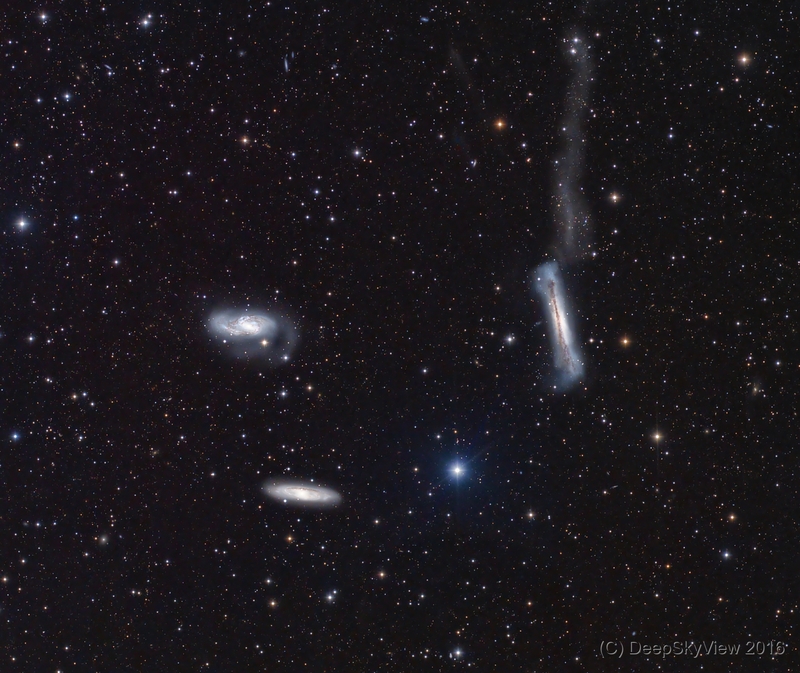 The Leo Triplet, a well known trio of beautiful galaxies – M65, M66 and NGC3828. Actually, there are many more tiny galaxies in this image. All of them belong to the M66 galaxy group with the Leo Triplet at its heart. In this deep exposure you also see the tidal tail extending from the edge of NGC3628, a result of a gravitational interaction with the other galaxies. The structure has a length of about 300000 light-years and is not fully captured in this frame. The image is an LRGB composite of data taken at the Deep Sky West Observatory. I have enhanced the tidal tail relative to the galaxies, otherwise processing was pretty standard.